Welcome the Year of the Earth Pig with an auspicious celebration at New World Makati Hotel. Stay on the weekend of February 1-5, 2019 and avail of an exclusive room offer starting at P6,488 with breakfast spread for two at Café 1228. You may also enjoy a late check-out if your booking falls on a Friday or Saturday night. 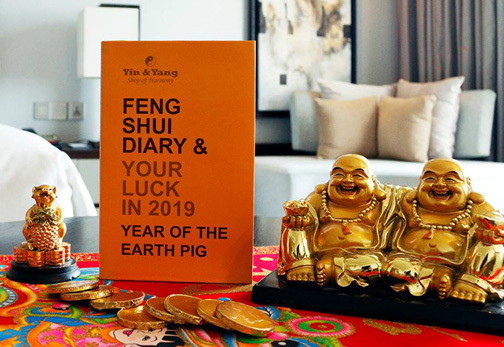 Feel lucky this Lunar New Year with these special gifts – a Chinese New Year kit with a feng shui diary from Yin and Yang Shop of Harmony and ang pao with The Shop voucher worth P888. 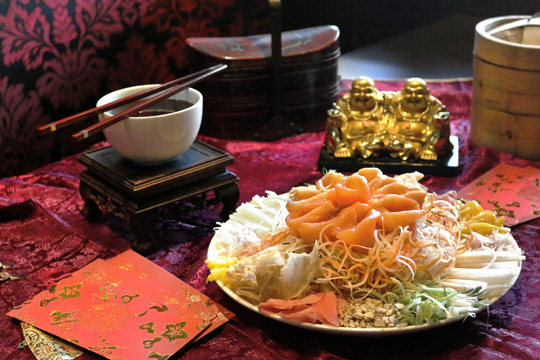 Moreover, feast on traditional Chinese New Year favorites prepared by award-winning Jasmine’s Chinese executive chef Wong Kam On. Get a taste of authentic Chinese cuisine with dishes such as roasted suckling pig, steamed live garoupa, and delicious handmade dumplings, among others. Festive set menus at Jasmine start at P13,888 from February 1-10, 2019 while limited a la carte menu will be offered from February 3-6, 2019. Yum Cha lunch is also available at P1,688 per person with unlimited chilled juices, soda, and local beer. Join us in our Chinese New Year celebration on February 5, 2019 at 12:30 p.m. and witness a traditional eye-dotting ceremony followed by a vibrant dragon and lion dance.